BEANS are the most undervalued food item. Although the bean is a complex carb. like bread and starches, it feels right at home in the veggie group and holds its own in the protein group. The miraculous bean has little or no fat and is cholesterol-free. In fact the bean actually lowers cholesterol and triglyceride levels in your body. Garlic, rosemary and thyme gives this soup that unmistakable ~unforgettable ~ flavour! 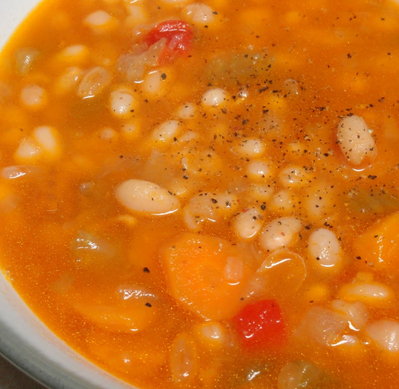 The first time I had navy bean soup was at the Colonnade on Bloor Street in Toronto. I was a teenager and I took the subway to the Cumberland Street stop and headed off to the Colonnade. After window shopping and buying a retro 20’s hat with a matching long silk scarf that morning, it was time for lunch at my oasis. I was relieved to get off my feet and settled in to enjoy my bean soup. Good times. The hat shop is gone along with the quaint cafe. But, the memories remain. I am sharing with you my most favorite, unforgettable memories of a sumptuous soup. Today, we celebrate the glorious bean! Optional – add diced bacon or cooked sausage rounds during or after the cooking process for that meaty flavour. * the ratio of stock and water needs to add up to 7 cups. If you don’t have enough stock add more water. Your stock may be very concentrated and rich and you may need to adjust the ratio. Use your good judgement. Substitution: If you don’t want to use carrots and celery replace them with 4 cups of sliced yellow onions about 3 more onions. It now becomes a Tuscany navy bean soup. Not enough carrots? If you only have 2 carrots in the frig. add one onion in place of the 3 additional required carrots. The same applies to the celery. Soaking Navy Beans. The water collects carbohydrates from the beans. Mince the garlic, dice the onion(s), chop the celery, pepper and carrots. Sauté the onions, celery, and carrots in olive oil in the pot (dutch oven). After the onions are translucent (about 5 minutes), add the garlic and red pepper and sauté another minute or two. Add the rinsed navy beans, stock, water, smoked paprika, bay leaf, fresh ground pepper and herbs to the pot. Bring to a boil (boil for 10 minutes while stirring) then turn down to simmer. Total cooking time 90 minutes. Taste test to check if the beans are thoroughly cooked. Add salt. Taste again to see if you need more salt. We left the salt to the end because salt makes the beans hard. For the following two methods, saute the vegetables in a fry pan with olive oil first before adding to the crock pot or pressure cooker. SLOW COOKER METHOD: Combine all of the above ingredients into the slow cooker and stir. Set to cook on high for 4-5 hours or low for 8 hours. PRESSURE COOKER: Beans are a perfect match for pressure cooking. Place pressure regulator on vent pipe and cook 30 minutes at 15 pounds pressure. Use instructions included with your p.c. model. One of my sisters is always using a pressure cooker. (She uses 2 at a time) With her engineer-like mind – it’s a given. Less work and a most efficient method. Freezer friendly for another day! Their freezer is full of goodies (and don’t last long in the freezer either). 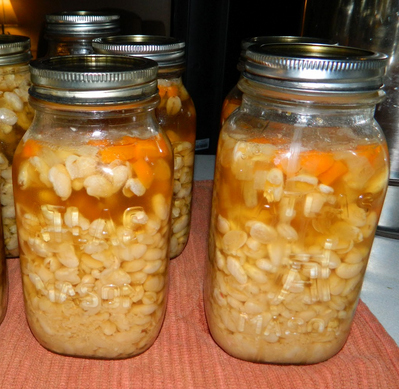 Don’t freeze in plastic or freezer bags–use glass jars– and leave a gap of one inch at the top so the jars wont crack. FOOD TIP: Common mistakes are boiling or simmering the soup too long or too high. While simmering you should not see any bubbling at all. If you can not obtain a very low simmer then add 1/2 to 1 additional cup of water/stock. You may want to turn off the heat for 2 minutes after the 10 minutes of boil time. Gas stoves are a favorite with chefs because the heat goes right down quickly when you reduce the flames. The best choice is a pressure cooker. If you have never used one I recommend it. It seals all the moisture inside the P.C. 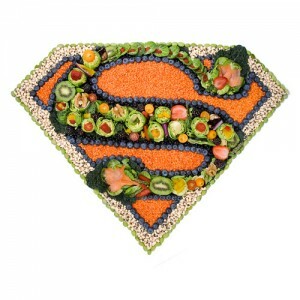 (5) FIBER: 5 to 8 grams of fiber in 3 ounces (100 grams)…prevents constipation. (6) Reduce cancer risk: 3 cups of beans per week. (7) Blood sugar balance: Beans digest slowly which helps keep the blood sugar balanced. At the same time reduces fatigue and irritability. (8) PROTEIN: About 1/2 cup of beans provides 7 grams of protein. The same amount of protein as in 1 ounce of chicken, meat or fish. BONUS: Beans are inexpensive. Stock up! Beans are on the list of super foods. It does not get a lot of air time. More people are discovering that the lowly, often neglected bean is not only low in cost, it is high in health benefits. Protein: 1 oz chicken=1/2 cup beans. 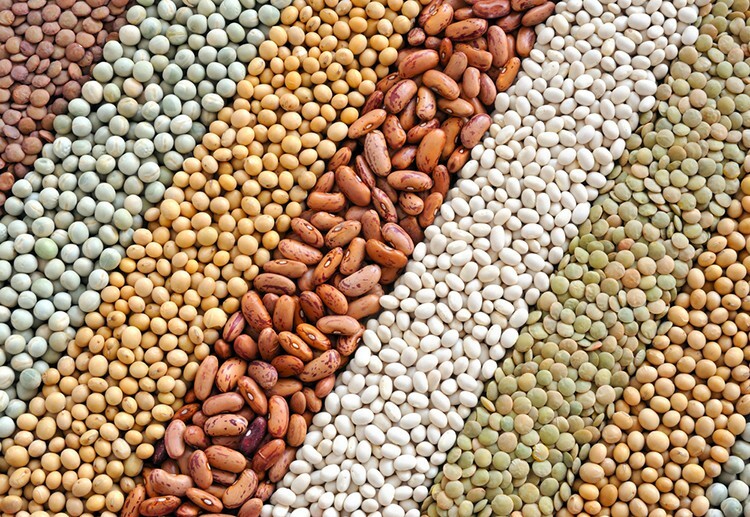 HOW DID NAVY BEANS GET THEIR NAME? 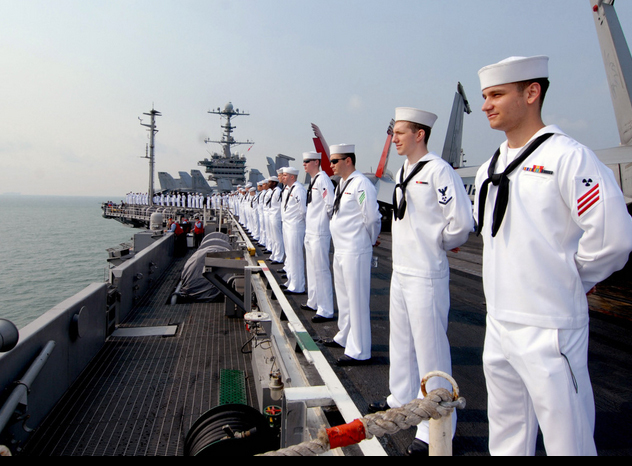 With a long shelf life, navy beans became a staple on U.S. Navy vessels beginning in the mid-1800s; earning them their name that has survived the test of time. 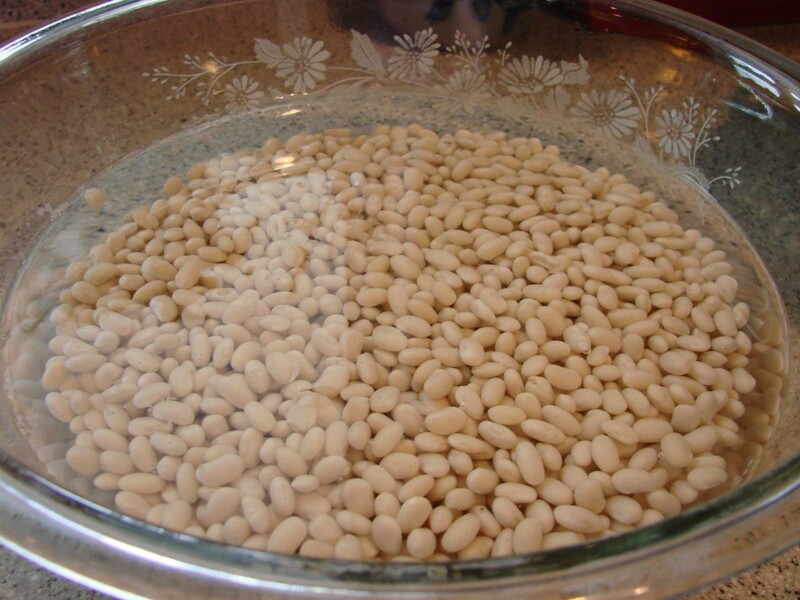 The navy bean is the same type of bean you find in tins of baked beans. EAT BEANS THREE TIMES A WEEK FOR YOUR HEALTH! Amazing info about beans..I did not know. I now have a better understanding and look forward to making this “Super Soup”! What a great soup especially with these chilly days we are having in Toronto. A very timely post. I really enjoy bean soups, particularly during winter. This year, I didn’t prepare it nearly as often as I do normally. I estimate I’m about 3 quarts low. WIth cold weather returning — and a new pressure cooker — I think it’s about time I make some soup. Thanks for sharing your recipe. I am excited for you! Pressure cooking is the bee’s knees! Had to come back to let you know. I prepared this soup earlier today in my pressure cooker and it’s fantastic! I really do enjoy it and it’s the perfect antidote for the return of winter that we’re experiencing. Better still, I’ve 2 quarts destined for the freezer. Again, thanks for sharing a great recipe. You picked the right time to share your splendid soup! Lots of snow outside today. Good day to make some healthy bean soup! 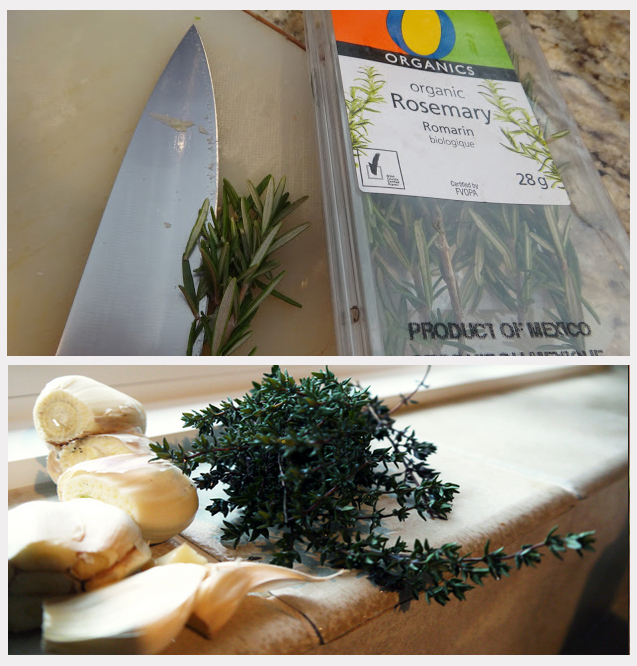 Rosemary is the special touch. A robust, aromatic flavour! As a veteran, I think my favorite part of this post was the the very last bit. I had no idea that’s how they got their name! Thanks for including a recipe that used dry beans. Renowned Chef (and chemist) James Peterson said to soak the navy beans for exactly 3 hours prior to cooking. The soaking and changing the water is important because the water becomes saturated with a type of starch called oligosaccharides, indigestible sugars and carbohydrates released from the bean into the water. Click on the a link near the bottom of the post ~~ BEAN TIPS reduce gas ~~ which explains “why soak dry beans” along with other good tips. I’ll be back to find more recipes! Always have beans in my pantry, had black beans just last night. I have smoked paprika but have not used it in a bean soup before, will be trying that soon. Many years ago I was a strict vegetarian and loved legumes and lentils. Then I became anemic and had to add red meat back into my diet. I would have one red meat dinner per week, some fish and chicken and vegetarian/vegan whenever I could. Now my health has taken new turns and ironically I need to take meat (specifically beef and anything high in fat) back out of my diet. It is nice to get back to my vegetarian roots. I will be making this soup for sure! I’ve never heard them called Navy beans before but I know the kind you mean. It does look very tasty. 🙂 🙂 i like your Mexican chicken recipe too. Many thanks for your visit. Yes! A great soup for a cold winter day – I’m currently freezing my buns off in Patagonia. Great bean soup recipe! Last month, Wendy’s started adding white navy beans to their chili. ” South Beach Diet” suggests a variety of beans for “THEIR” chili recipe. S.B. recommendS one cup of each type of bean (two different kinds Of beans)..for the chili recipe. Now, Wendy’s is doing the same. WOW!!! I’ve read your great comments. I am “NOW” a fan. What a REGAL twist to this simple white bean! Good eats! We eat a bean dinner once or twice a month. Your recipe sounds good and a little differently seasoned from you usual ways, I can’t wait to try your version. Yes beans are under valued. The thyme is what gives this soup a subtle boost. (and of course garlic). Thyme in pea soup is good too. 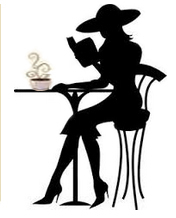 We will be resuming the blog/recipes starting at month’s end. Good to be back! It is going to be nice to have you back. Yours is one of the best food oriented blogs I have come across. Just signed up. no need to mention all the herbs included!